For parents (and grandparents) with under-school-age kids. 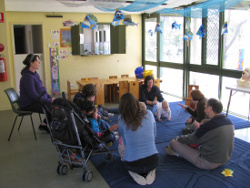 Children enjoy indoor and outdoor play plus a regular music program. Bring $1 and some food for your child to share with other children. Teenage Uniting Fellowship: A social and Christian growth group for those in high school and college years. 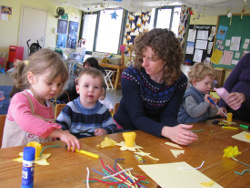 Families with school-aged children and younger meet for social outings like barbecues, bonfire, farm activities, games and races.